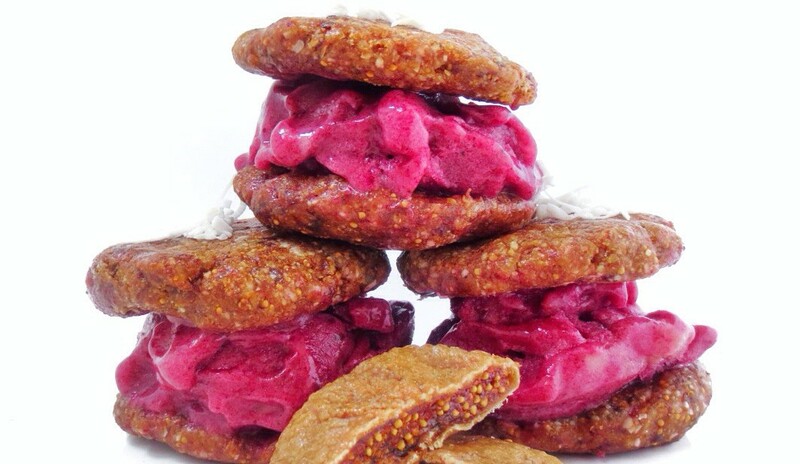 RAW ICE CREAM COOKIES – Made Whole co.
Who told you dessert was bad for you!? Well… they were lying. You can have your ice cream cookie and eat TWO! There is NO gluten, dairy or refined sugar in these so the only ice-“screams” that will be coming out of your mouth will be ones of pure joy because they taste so good! These cookies are raw, so there is no cooking required! I used my Nutribullet, which I’m obsessed with and use at least 3 times a day (CLICK here if you wanted to check them out!). You can use a food processor if you don’t have one though. GO EAT AN ICE CREAM COOKIE! You deserve it! In a food processor or Nutribullet combine 10 pitted dates, 6 dried figs, 1/3 cup of flaked almonds (whole almonds will work too but won’t crush as easily), a piece of vanilla bean, and a big tbsp of shredded coconut. Process or blend ingredients until they combine and form a dough! They will taste like a yummy cookie! Cut and freeze 3 ripe bananas over night. Once frozen, put the bananas in a food processor, Nutribullet or blender, add a tsp of beetroot powered for the pink colour and blend until the consistency of soft serve ice cream! (if you are using a nutribullet or lower powered blender, you can add half of an unfrozen banana to get it blended if it won’t blend). 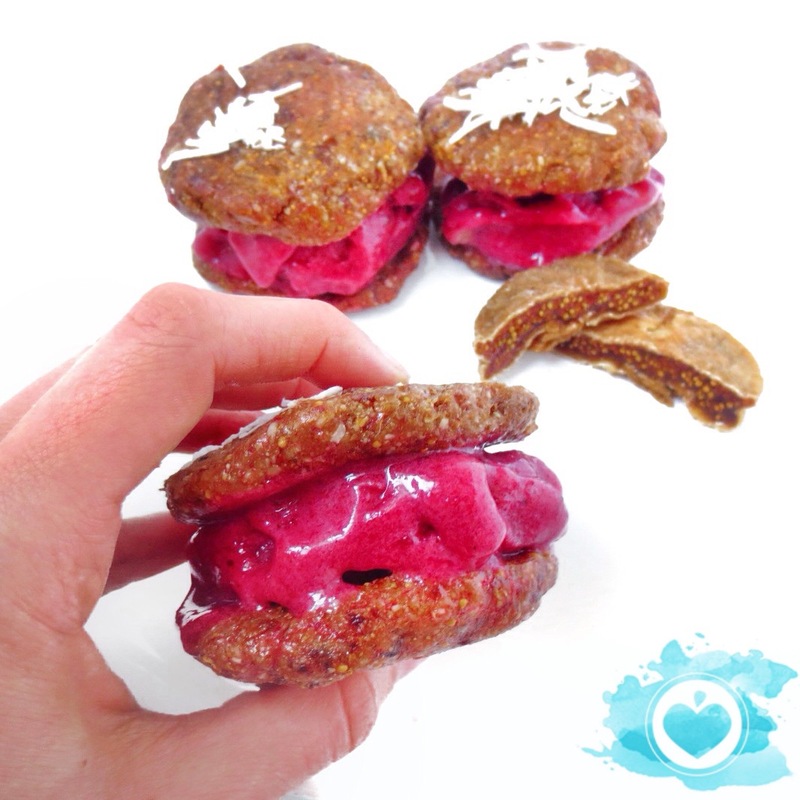 Spoon your ice cream onto your cookies and lay another cookie on top to form your amazing, colourful and delicious ice cream sandwich! The perfect treat!